Yes, the Movie Gang loves fantasy films. Yes, we love action adventure. Yes, we love an 80’s throwback. But don’t underestimate the depths of our film tastes. 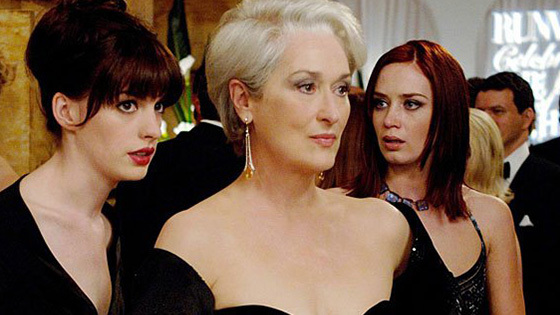 That’s right, even we know the flawless balance of meme-like fun and “as if” drama of The Devil Wears Prada! Who would have thought that the simple story of a naive, just-graduated journalist, Andrea Sachs (Anne Hathaway) working as the second assistant of the powerful and sophisticated Miranda Priestly (Meryl Streep), the ruthless executive of Runway fashion magazine, would stand the test of time and go on to be a true modern classic! For this fashion and fun filled event, The Movie Gang has partnered up with our friends from one of Downtown Franklin’s newest stores, Imago Dei! Imago Dei is a generational lifestyle store offering women’s clothing, baby clothing, home decor and plenty of gifts! Imago Dei will feature a Pop Up shop in the lobby displaying some of their favorite fashion pieces + a free raffle where you will be able to win gift cards to use in store at Imago Dei! To further tie in the pre-movie party with the film, we will be serving FREE coffee from Franklin’s Honest Coffee Roasters just in case Miranda herself shows up and demands her coffee! We will also be serving Emily’s favorite meal AKA cubes of cheese! This event will sell out so snag your tickets before its too late! Party Starts at 7pm. Movie starts at 8! Franklin’s Own Imago Dei Pop up shop and Raffle for Gift Cards! Free Coffee from Franklin’s own Honest Coffee Roasters.